WASHINGTON—For the last 13 years, Gao Weiwei has come to Washington to remember her late sister, Gao Rongrong, who was severely tortured for her faith and died of her injuries in 2005. Gao Rongrong was a practitioner of Falun Gong, a traditional Chinese spiritual discipline with tens of millions of adherents. 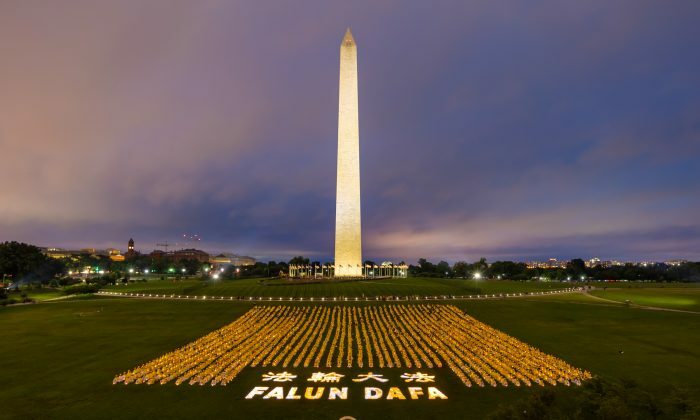 Also known as Falun Dafa, it was banned by the Chinese Communist Party (CCP) in 1999 and has been subject to nearly 20 years of severe persecution. 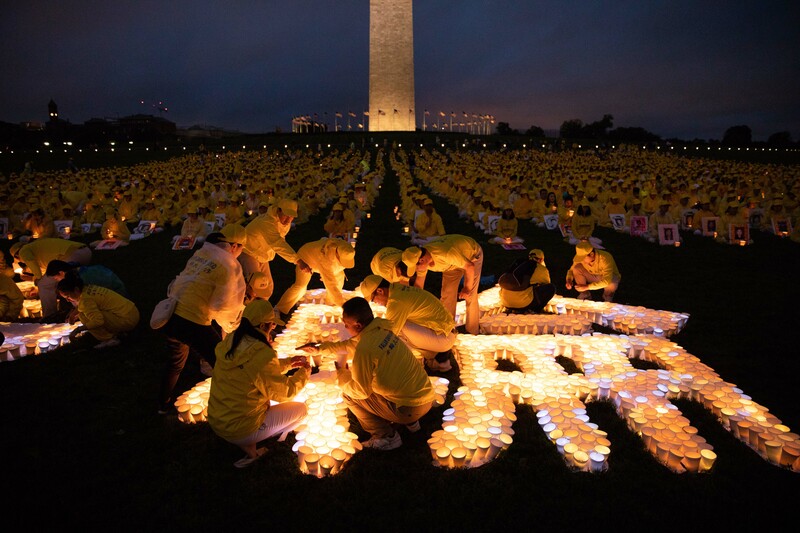 On the evening of June 22, Gao Weiwei joined around 3,000 fellow practitioners in the U.S. capital to take part in a candlelight vigil, held this year in front of the Washington Monument. 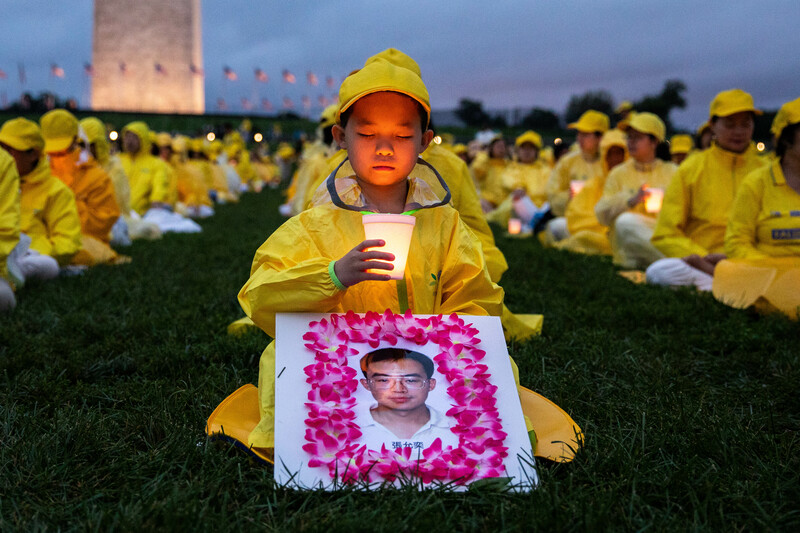 The event honors the millions of Falun Gong practitioners who have sacrificed their freedom, livelihood, or even their lives to persevere in their faith, despite the CCP’s campaign to eradicate it. Gao Rongrong was an accountant from the city of Shenyang in northeastern China. In 2004, while in police custody, officers shocked her in the face with electric batons for hours, disfiguring her severely. The next year, she died in the hospital. Her sisters, Gao Weiwei and Gao Lili, were able to emigrate to the United States. Wang Xiuxia, also from Shenyang, lost her older sister Wang Xiuyuan to the persecution. Police officer Tang Yubao slammed her head into a heater, causing profuse bleeding. Vomiting greenish fluid, she died a week after her release in 2004 after suffering multiple forms of torture. 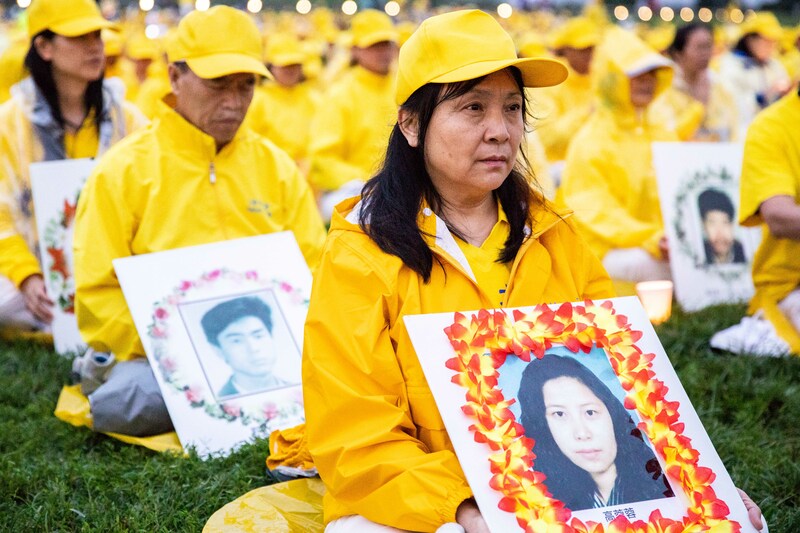 The number of dead in the persecution of Falun Gong remains unknown due to strict censorship by the CCP authorities. But the tragedies of Gao Rongrong and Wang Xiuyuan are just two among those of the more than 4,000 practitioners who are confirmed to have been killed by torture and abuse. The actual numbers are believed to be far higher, due to the difficulty of getting information out of China. Wang Xiuxia continued to face arrest and harassment from the time of her sister’s death. From 2003 to 2009, she was homeless and had to move between different hiding places. In 2016, she arrived in the United States and sought asylum. She now resides in Flushing, New York. “After coming to the United States, this free country, I want to be more diligent in my cultivation and in exposing the persecution. No matter how rampant the evil is, it won’t stop us from walking this path,” she said. 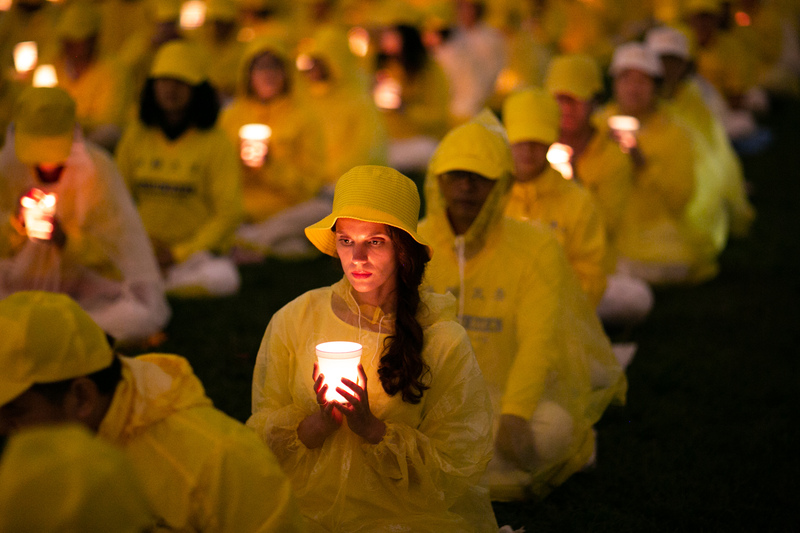 Falun Gong practitioners refer to their discipline as a self-cultivation practice, as they seek to improve their body, mind, and spirit. Falun Gong practitioner Lin Qian, from Guangzhou in southern China, came to the United States with her daughter, Rao Deru, in 2007. 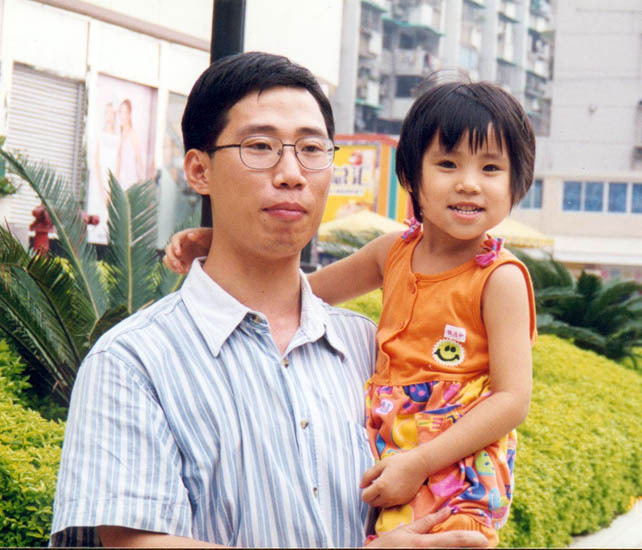 In 2002, her husband, Rao Zhuoyuan, died from heavy beatings and torture at the hands of the local police and the 610 Office, a CCP executive commission in charge of persecuting Falun Gong. He was just 34 years old. Being in the United States fills Lin with a mix of happiness and sorrow. Her daughter, Deru, is now in her 20s and performs Chinese classical dance with Shen Yun Performing Arts, a New York-based company that tours worldwide. But apart from her deceased husband, Lin also left behind her mother, who is now in her 90s. They have not been able to see each other since her departure.